Mirror texture paint on selected faces of an object? I'm a complete noob at Blender. 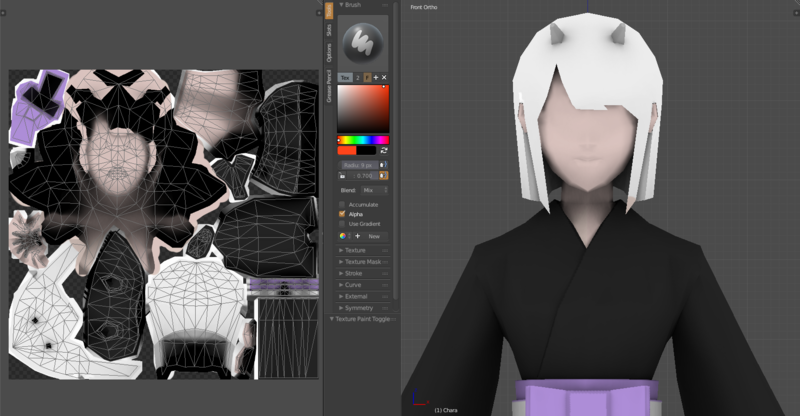 My character is not completely symmetrical, so when I texture paint, Blender mirrors on the arms, legs, hands and her horns (the symmetrical parts) but not the face even though it is symmetrical too. I want to know if there is a way to mirror the face by maybe selecting the faces of the face? I just had to turn on X symmetry in the texture paint tool pane. Not the answer you're looking for? Browse other questions tagged texture-painting mirror or ask your own question. How to fill the selected UV island with colour when texture painting? How to paint a new texture whilst painting over another one?